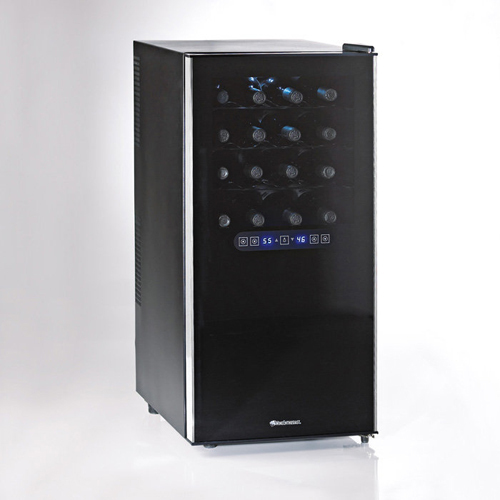 This thermoelectric, energy-efficient, CFC-free wine cooler protects the taste of reds and whites with updated, virtually silent cooling technology in 2 zones (details below). Temperature controlled with an exterior digital touchscreen. Designer styling, including a reflective smoked-glass doors fits seamlessly in any decor. All for a price that makes enjoying wine affordable! ETL approved.